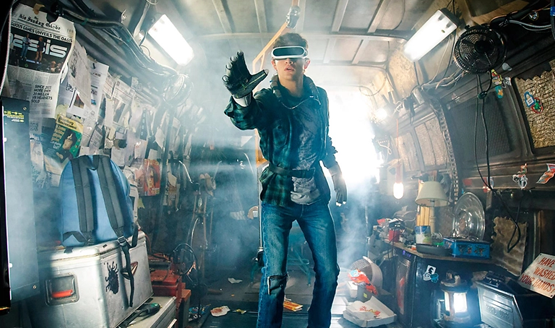 Releasing next weekend, Ready Player One is a film about a virtual reality world, full to bursting with pop culture geek references. The book by Ernest Cline was steeped in ’80s references, and while the movie retains many of those, it also brings a large number of modern cameos. Trailers have already shown off the likes of Tracer from Overwatch, Ryu from Street Fighter, and the Spartans from Halo. Aside from a number of other multi-platform characters (both male and female Shepard from Mass Effect have been spotted in trailers), PlayStation fans will be happy to hear that a few fan favorite PlayStation-exclusive characters make their appearance in the movie as well. Other than the cameos themselves, we aren’t going to be spoiling anything else about the movie for those that want to go in blind. If you don’t even want to see the list, click away now. Last chance! Here’s an image from the film before you make up your mind. You’re fine with spoilers? Alright, well according to ComicBook.com, the following four PlayStation characters appear during a certain pivotal scene in the upcoming movie. Each of these characters show up at some point in the movie, in addition to the likes of Bloodrayne, Lara Croft, and more. There’s no shortage of cameos in Ready Player One. With so many developers and properties featured, it’s no surprise that Sony got in on the action with a few character appearances of their own. Being so packed with characters and references though, it might be difficult to spot each of these Ready Player One PlayStation cameos, so keep an eye out for them when you watch the movie next week. Which Ready Player One PlayStation cameos are you most excited for? What other references would you like to see creep their way into the movie?